Pai Thai Restaurant in Al Qasr Hotel of Jumeirah, Dubai is located in an ideal setting where seating overlooks at Madinate’s tranquil waterways with lavish decor of interior and outdoor perfectly complimenting the surroundings. On top of it, the traditional and sensational Thai cooking will take you into the river of taste and aroma. It is because of these sophisticated settings and luscious Thai fare, Pai Thai has been able to bag Best South East Asian Restaurant award four times in a row. This prestigious award has made Pai Thai Restaurant as one of the most sought after eating places in Dubai, as both tourists and locals kept this place busy throughout the week. The menu of Pai Thai Restaurant is full of delicious Thai dishes and it is hard to declare one as the best. There is a good range of curries served at this bistro, and most importantly Green Curry which has the most luscious taste and aroma. Aside from Thai dishes, hand-picked South East Asian dishes are also available at this restaurant. Staff members provide excellent service, as it matches with the standards of this luxurious hotel. Special offers are also made to the clients of Pai Thai Restaurant, which attracts more customers. Moreover, its drinks list also include fine assortment of alcohol which will boost the romance in the air. Reservation of tables in advance is recommended to the guests especially during peak hours. During cooler months, one can also book a table in this bistro’s outdoor area to view the serene waterway. Guests are also amused with live entertainment at this spot. The timings of Wanthakan Khamsuk’s (Thai entertainer) performance between Monday and Saturday starts from 7:00 pm till 10:45 pm. 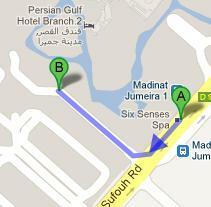 The restaurant remains open for seven days a week, and the timings are 6:30pm to 11:30pm. 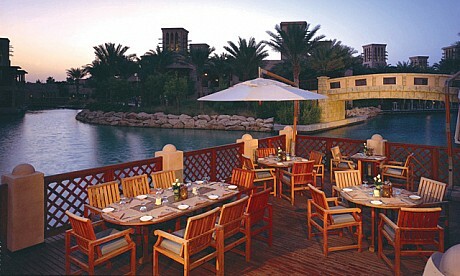 Al Qasr Hotel, Madinat Jumeirah, Jumeirah, Dubai, United Arab Emirates. Since there is no metro station in the close proximity of this restaurant, so a visitor has to hire a cab or use a bus to reach this venue. Madinat Jumeira 1 - Dubai bus stop is 350 meters away and 5 minutes walk from the Pai Thai Restaurant in Al Qasr hotel, and bus users can take any of these bus numbers 8 and 88 to get to this bus station. After reaching this bus stop, walker should head in the southwest course on شارع الصفوح‎/D 94, then make a slight right turn to locate the destination right in front. See map for directions.